Featured on the Operation Write Home Blog as Inspiration for their Sketch Challenge. I have decided I have a theme for my Christmas cards this year...Blue & White. No matter what I am making in the last few weeks, I keep grabbing for the Versafine Deep Lagoon ink...it is such a gorgeous color!!! 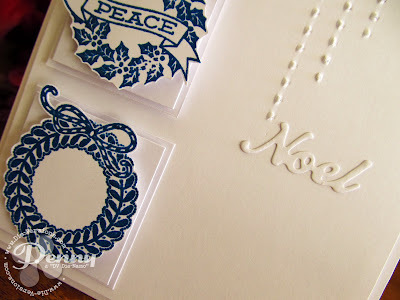 I stamped the wreaths (Wreath Celebration by Penny Black) and fussy cut them. Added them to a small square of white card stock with foam adhesive, then added that square with a slightly larger square. 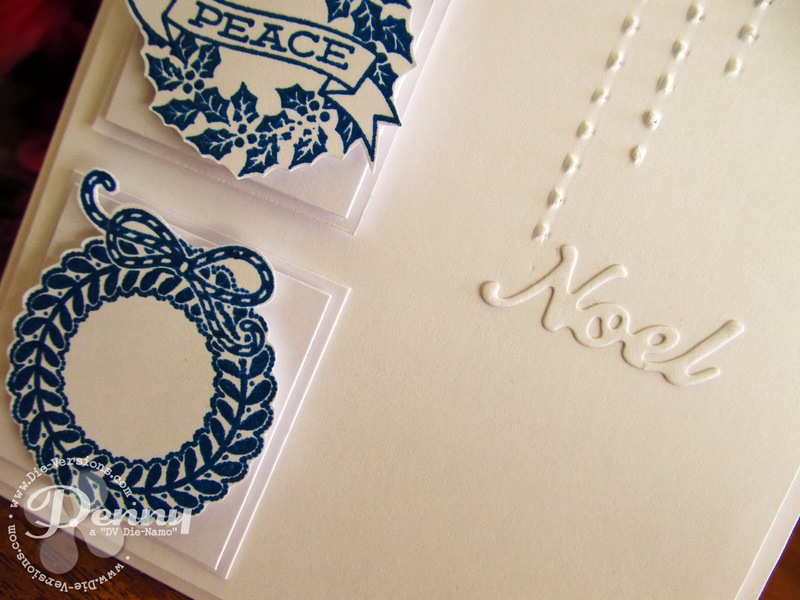 Used my Scor-Bug to add a few bumps and die cut the new Wordlet "Noel" by Die-Versions...really like the white on white look! Gorgeous white-on-white look. 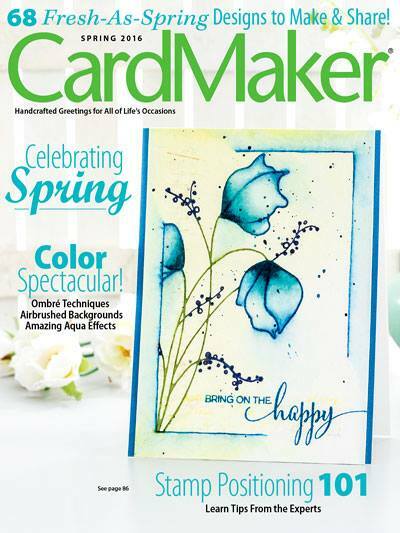 Congrats on being featured on today's Stars & Stamps blog.